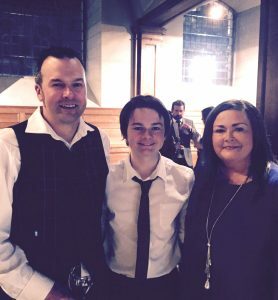 As the year draws to a close, we’d like to take the opportunity to look back on being chosen as one of Small Business Saturday’s ‘Small Biz 100’ this year. 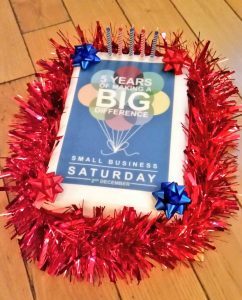 We’re very grateful to Small Business Saturday for the honour of the award and would like to thank everyone who has supported our small family business since we started in 2005. 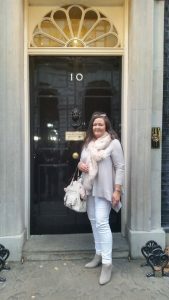 We’ve met some brilliant people on our ‘Small Biz 100’ journey whether that’s been on social media, the bus tour, at the ‘blue tie’ reception or at the No10 Downing Street event. 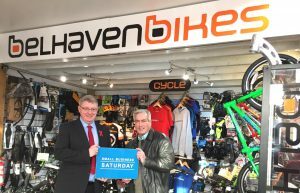 We celebrated with cupcakes and free cycle hire both on our special ‘Small Biz 100’ day in October and on Small Business Saturday itself, in December. 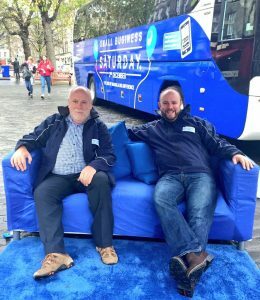 Thanks to everyone who popped by to join in the fun! 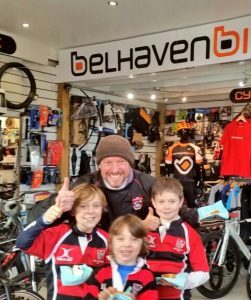 Call us on 01368 860300, email [email protected] , connect on Twitter or Instagram , join the Belhaven Bikes Community or pop into the shop.